WAGazine has compiled a range of inspiring and educational e-Books for its community of animal lovers. 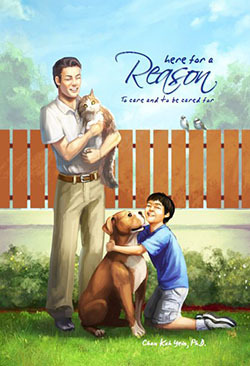 As a start, Dr.Chan Kah Yein of AnimalCare has graciously shared her excellent books on animal welfare and compassion. Each book’s synopsis is presented below, with accompanying links to download the e-Book in PDF format or view it online. For more information on these books and obtaining the physical prints, please visit the website of AnimalCare. Street animals are one of the most down-trodden beings in our community. They are homeless, helpless and defenseless. In her quest to help these animals, Dr Chan Kah Yein founded AnimalCare in May 2009. It is a charity that promotes caregiving to street animals and helps in their neutering and medical needs. This book explains the CNRM (Care-Neuter-Rehome/Return-Manage) process and provides useful guidelines on caring for street animals. When we wish to do charity, we need not look too far. Just reach out to the animals in our back alley, at the park or around our neighbourhood. They are out there, waiting to be helped. This book tells you how to do it. Have you often wanted to reduce your meat consumption? In this little book, Chan Kah Yein shares with you ways on how you may achieve this. She encourages the reader to move towards a diet of eating less meat, which is definitely more doable and acceptable than adopting a strict vegetarian diet. 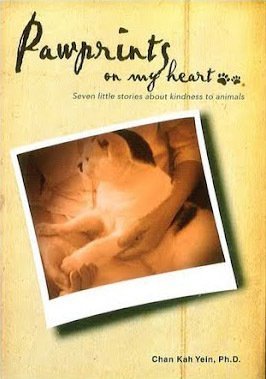 Pawprints on My Heart is a collection of seven personal stories about kindness to animals. Chan Kah Yein, Ph.D., an avid animal lover, writes on her experience with her pets and the many animals whom she has rescued. She hopes that her stories will inspire others to do whatever they can, within their means, to practise kindness to animals. Every little act of kindness that comes from a sincere heart creates a ripple effect that reaches out far and wide. Opportunities abound for us to practise love and kindness. If we sincerely and whole-heartedly extend our love and kindness across the boundaries to those with fur, feather and scales, we are practising non-discriminatory and boundless love. When we no longer discriminate between ourselves and animals, and we shower kindness equally on all beings, we bring compassion to a purer and more magnanimous level. With a deep empathy for all animals big and small, Chan Kah Yein shows how we can make our lives richer and more meaningful as we live together harmoniously as one big family. 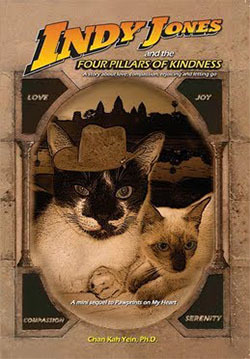 Indy Jones & The Four Pillars Of Kindness is a story about the adventures and encounters of a little kitten who was rescued from the drain and given a second chance at life. Chan Kah Yein narrates the story, with heart-warming simplicity, humour and an honest reflection into her own weaknesses and strengths as she copes with the challenges that come with looking after and raising rescued animals. She writes with clarity and conviction, illustrating how love, compassion, rejoicing and letting go, come together to make her experiences more meaningful and so much richer. For every living being who comes into our lives, one thing is for certain – whether by voluntary separation or death, parting is inevitable. 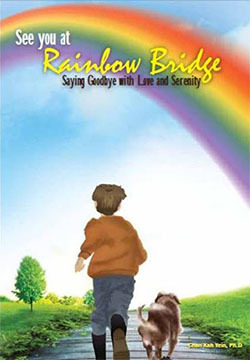 In See You at Rainbow Bridge, Chan Kah Yein shares with us how she coped with an adult feral cat who was nursed back to life by her and finally chose to run away and be free again. Kah Yein also relates the last days of the lives of three animals, a pygmy cat, a 13-year-old Pomeranian and a stray dog dying of distemper, and how she did her utmost to help them pass away with dignity and lots of love. She talks about how much joy a little rescued kitten brought into her household, and how the kitten was taken away very suddenly. Kah Yein hopes that her sharing would prepare us better when we need to face loss and death in life. 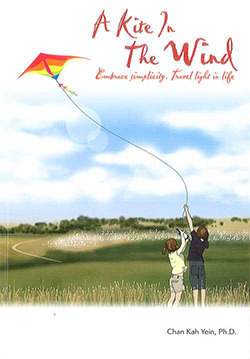 In “A Kite in the Wind”, Chan Kah Yein talks about how she practises simplicity in her life as a layperson who is caught up with the trivialities and complexities of life. 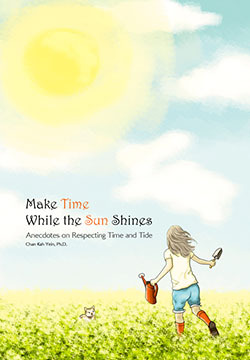 In “Make Time While the Sun Shines”, Chan Kah Yein shares her little personal anecdotes on respecting time and tide. In her hallmark simple and light-hearted manner, she looks at how we manage time in our lives and offers hints on how we might be able to do the job a little better! 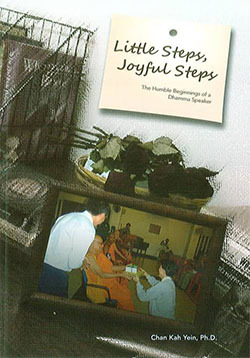 Little Steps, Joyful Steps is the memoirs of a beautiful two-year spiritual journey. Chan Kah Yein writes on her personal experience, and the many trials, tribulations and the rewards of learning and striving to become a Dhamma speaker. Written from the heart, she humbly and respectfully hopes that this book would serve as an inspiration to motivate readers to pursue their dreams, no matter how impossible it may seem to be at first. 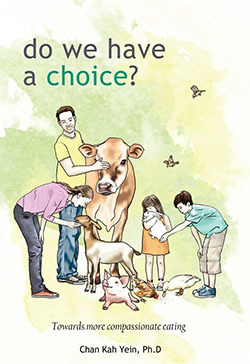 Do you have inspiring and educational e-Books on animal welfare to share with our readers? Please contact us and tell us more about them!